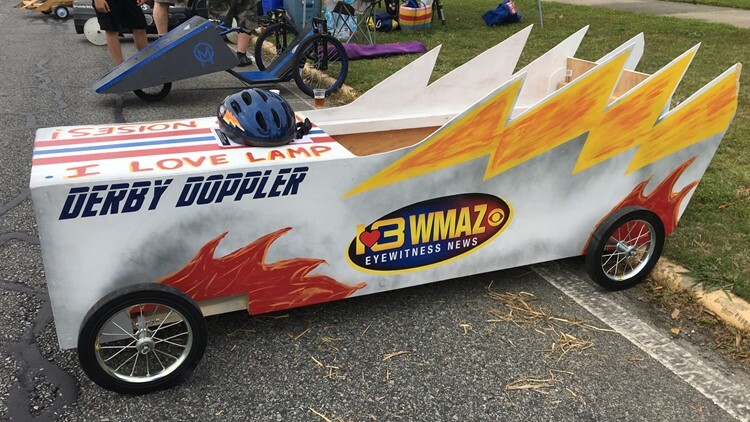 MACON, Ga. — From giant pizzas to Ghostbusters, Central Georgia teams went all out decorating their soap box cars for the 11th annual Magnolia Soap Box Derby in Macon on Saturday. The STEM students kicked it off, with dozens of high schools and teenage groups represented. The Boys and Girls Club of Central Georgia Forsyth-Monroe County Unit took home first place for that category. For the adults, there were over 30 racers competing in the pro and 'shade tree' categories, including our very own Derby Doppler. Derrick Pilarsky has raced for five years in a row for Team Grave Shifters. "This is the best event that Macon's got. In my eyes, every year is just better and better, the teams, the people themselves," Pilarsky said. He says their mini box truck in the derby has been years in the making. "This is literally your mom's refrigerator going down the hill," Pilarsky said. Trilla Trawick from Georgia Power Plant Scherer says this is her first time in the competition. Representing the Dream Team, their car shows support for multiple football teams. Trawick is a Carolina Panthers fan, but some other teams included are the Atlanta Falcons and Philadelphia Eagles. "There's a lot of football teams at the plant, and the guys, they wouldn't agree to be on my team unless we had all their teams on it," Trawick said. For the pros, Team Hendrix won for the fourth year in a row. For the shade tree category, it was Team Float Daze.